12" Natale Xmas vinile di fronte Naughty elfo seduto su stanza casa finestra popolare! What better way to to get in the festive spirit than to join in the magical story of your elf, where families wake to find out what their elf has been up to whilst they've been sleeping.The rest is up to your own imagination. 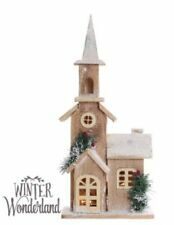 SALE UK-Gardens 43cm Wooden Bird House With Battery Operated Lights UKG15453. Wooden birdhouse decoration wrapped in warm white fairy lights. Battery operated: required 2 x AA batteries. Batteries not included. By Gisela Graham. This is a lovely rustic style candle holder. Holds a standard tealight candle in a little glass jar. A BATTERIA CASA Cambia Colore Con Glitter blowng. This lovely water filled house is illuminated by colour changing LED lights. • Colour Changing Lights. Large Lit LED Wooden Festive Village Tall House Xmas Decoration. Beautiful detail, showing winter Xmas scene. Size – 38 cm x 16 cm. 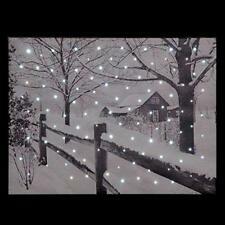 Pre-Lit Wooden House Snow Reindeer Scene with Trees Warm White LED Lights, White. Illuminated by 3 warm white LEDs, this wonderful scene features a large house, a church and smiling Snowman. If there is a problem, we can work together to resolve the problem. Ye Olde Barrel & Cask Makers House. The ultimate tribute to the cooperÂ’s craft, Ye Olde Barrel & Cask Makers is in a building that looks like a barrel. All our Lemax village accessories are very collectable and made with great detail. Glitter finish for added sparkle. Illuminating snow covered festive house. Made from resin material. >> Blossom / Lit Trees. >> 3D Lit Parcels. Cheaper Online Ltd are based in Lancashire, UK. >> Nativity Scenes. Hand painted porcelain Christmas house with a festive character and Christmas Tree. Model: 511123 - Snowman. WOODEN DEAR SANTA HOUSE KEY. This can be selected during checkout. We aim to dispatch all orders within 24 hours of orders being placed. GET IN TOUCH. When will I receive my order?. Elf Xmas shelf prop. They can be used with the toys or barbies alike. Unique Elf / doll / Barbie house Christmas Eve plate. One of a kind and worth every penny. Elf and other accessories in pic not included. Elf House Stickers. Set the scene for Christmas Elf and give you a perfect place for your children's evles to live. THIS WILL NOT AFFECT THE PERFORMANCE OF THE PRODUCT. Gingerbread House Vinyl Window Decorations. New Christmas Santa Claus. In and Out Christmas Santa. 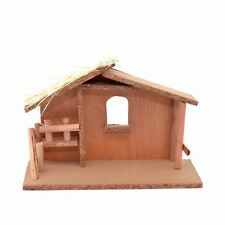 48 cm Pre-Lit Wooden Large Village Scene Illuminated with 10 Warm White LED Lights. It's illuminated too by 10 warm white LED's that produce a lovely glow through the windows and doors of the buildings. They can be used with the toys or barbies alike. Radio or singing head set get your creative minds on this year with your dolls and elf. Elf on xmas shelf prop. 1 x plastic head set great for Christmas antics for your elf or for the barbie dolls. Stick them to your skirting board, wall, window, etc. These elf house stickers will set the scene for Christmas and give you a perfect place for your Elves to live. Elf house stickers. Made from reusable vinyl. WHITE GLAZED. A simple house with an embossed tree design. Cut outs in the door and stars in roof, give a gentle glow once turned on. PORCELAIN HOUSE. Material - Porcelain. BATTERY OPERATED LED LIGHT.